Wow. About 1000 times better than anything Gallop has ever written or said. I know that doesn’t clear his name, and he was a bit unclear about what happened between the PFA report and Jan 18, but if the FFA haven’t given him a chance to defend himself they’re ****ed. If true, this has unfair dismissal written all over it, whether the FFA have a good reason to sack him or not. You can’t just march someone out without explaining your decision or allowing them a chance to respond. The FFA have come out fighting after this morning's press conference from Stajcic. There's a lot about this whole situation that just doesn't sit right with me. Clearly, no one knows the full story except those involved. Sure, where there's smoke, there's fire. Maybe. Yet, there is so much of this story that just screams "another FFA **** up" and football politics. The fact that Stajcic claims he has had messages of support from 25 former or current Matilda's appears to me that things may not have been like what the FFA are trying to portray. They paid him out? Bizarre. If the FFA had some sort of proof, they should have either sacked him properly or, if it wasn’t clear it was a sackable issue but they wanted to pay him out to be rid of him, had him sign a confidentiality agreement. If he wasn’t going to sign one, and you don’t have certain proof he deserved to be sacked, you’re destined for a court (and PR) battle. This “he admitted it was disfuctional” is entirely dependent on context. If it was a normal conversation and he didn’t know sacking was on the cards, that doesn’t count as giving him an opportunity to respond to the reasons he’s being sacked. Someone in the FFA wanted Stajcic out and got the rest of the gang to follow along with it. Now they've locked themselves into a **** decision which they are doubling down on. I can't understand how procedural fairness has just been so blatantly swept aside. Can they really get away with this??? I struggle to understand how ANY organisation can act the way they do....an absolute law unto themselves. This is just speculation but I'm wondering whether when they recieved back the replies to the annonymous "survey" of the players the FFA saw some of the replies of certain players, panicked and thought along the lines of .....gee, if any of this is true we can be sued for squllions by these girls.......we'll be all decisive and sack the guy without doing due dilligence and investigate the claims first. If I was Stagic I would want to know....what date, what time and where it happened . At the time of his sacking Tara Rushton on FOX implied that she had received info which supported the sacking. In the light of yesterdays pressers etc has she made any further comment about this? People are already realising they're on the wrong side of this story and are trying to back away. I seem to remember Bonita Mersiades's article - although it might have been another one - inferring that FFA had deliberately leaked a little info to certain media personalities who could then all say "if you knew, you'd understand, but we can't say", and clearly hoped people would just swallow it all because, you know, it's Tara, or whoever. If this is true, it seems likely they were careful to choose people who would not question it at all and just get out there and repeat the right lines. Tracey Holmes from the ABC seemed to be one of the chosen too. Even Lucy Zelic was back peddling a bit yesterday. Both of whom I admire for their integrity usually. Makes you wonder how many of them knew they were acting as the FFA propaganda arm and how many were just victims of lazy journalism. Thats how the FFA operate, David Gallop did the same thing in the NRL about 'procedural fairness', David Gallop doesn't care about the truth, if he says you're guilty, you're guilty, doesn't matter if you're innocent and have been found with no wrong doing, you are guilty and he has facts to back that up, thats how he is treating Stajic and thats how treated Brett Stewart. Yeah I noticed Lucy sort of back peddled yesterday on the project, Tara has been completely silent since she briefly talked about it on Shootout defending the sacking of Stajcic. there are known knowns; there are things we know we know. We also know there are known unknowns; that is to say we know there are some things we do not know. But there are also unknown unknowns—the ones we don't know we don't know. A lot of journos have back peddled. Their opinion came before the army of Matildas came in support of Stajic and of course other information in regards to who filled in the surveys (majority not the Matildas) and now Stajic has publicly said he has no idea why he was sacked and it starting to look like agenda by FFA and unfair dismissal. Seriously what a mess so much for the great hope in the code. A guilty man does not ask for an Independent enquiry to be held. 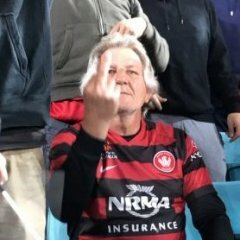 You want to go on about toxic culture then wait until Ross Aloisi is appointed, the most toxic **** in the A League is on the shortlist. If RA is coach of the Matilda's at the World Cup as opposed to Stajcic, we are well and truly rooted. 'Toxic' is the term that is currently in fashion for when you want to make accusations against someone but have nothing specific to back them up with. And unfortunately many organizations now seem to care more about media and social media perceptions than old fashioned concepts like due process. It is a scary world we have created for ourselves my friends. The fact that they can't state anything clearly and specifically about Stajcic's failings just shows its rubbish. Looks like Gallop is under review now. Looks like Gallop is under review now. Really? By whom? I so wish this happens. Yeah I generally find the thing to look for in these situations is more what they don't say. Stajcic never really expanded on what he thought was wrong with the methodology or process of the first survey, but that could have been as much down to the fact that no journalist asked him to expand on it. The FFA's comment about Stajcic admitting the team was dysfunctional "in the presence of the CEO and an FFA lawyer" speaks volumes. If they could have said "Alen Stajcic was given an opportuity to respond to the reason for his sacking" they would have. Even if they could have said that they met formally to go through the survey feedback, you'd think they would do that. But they didn't say that. It's got the smell of a massive stitch-up. The thing that gets me most now that I think about it, is that ONCE AGAIN the only time Gallop shows any guts whatsoever is when he's attacking someone within the football community. Where was his backbone when the fans had their details hung out to dry by the Tele? Where is his backbone when some AFL stooge puts the boot into football? Where is he when football is being hounded as being a hooligan's game when stats show more violence at other sports? Let's hope they finally punt this imposter. and yet Emma Highwood who is employed by the FFA attended every camp and was responsible for the girls' welfare and team culture not only keeps her job but hasn't had even a remark made about her by the FFA. The article btron posted lists Highwood as one of the ones under review.